Welcome to Rainbow Lake! A Town where people come for visit and stay a lifetime. Our town celebrated 50 years in July 2016 and our motto was then and still is “Good People-Good Times”. 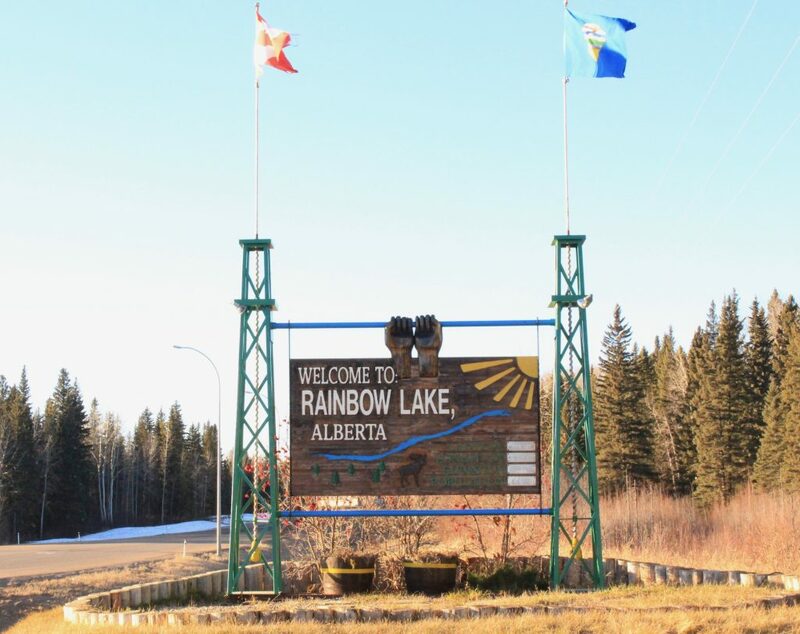 We are located in the northwest corner of the province approximately 900 kilometers north of Edmonton. While our town is predominately oil & gas, we have many amenities to make living a pleasure. You will find a grocery store, several convenient stores, a bank, post office, restaurants and bars. The Rainbow Lake School is home to students from K-12 and whose students boast pride on being a “Laker”. There is also a Distance Learning Centre for those who need a little extra instruction. The Health Clinic has regular doctor days and an ambulance on call 24/7. The Town operates the airport with scheduled flights three days a week, cable television and high speed internet service, along with the natural gas and water utilities. We also have a Volunteer Fire Department with dedicated volunteer members. During the winter months, the focal hub is our Multi Rec Plex facility that is home to a 3-sheet curling rink hosting many leagues and bonspiels. The ice arena that hosts Minor hockey, men & women’s rec hockey, and public skating. The curling lounge also is home to the community dart league. This facility is also home to our Municipal Library, Fitness Centre and the RCMP/VSU offices. During the summer months, you will probably find our residents on the 9-hole Golf course, where you learn early on to shoot a straight ball or at the Lake located 45 kilometers West of town. While at the lake you can enjoy the campground to relax around a campfire with friends, maybe take a swim at the beach or launch your boat and try a little fishing. What you will find in our Town is “Community Spirit”. The Town hosts many events throughout the year from the annual Winter Carnival, Easter Eggstravanganza, July 1st celebrations, Halloween Haunted House, movie nights to all the fundraising events hosted by the many user groups. All of these events are not possible without the volunteer efforts and spirit of our residents. We are a Community where our children can walk safely to school or to a friend’s house. We come together in times of celebrations of life whether it be the birth of a child, a celebration of a birthday or a wedding, saying good bye to friends who are moving or the death of a loved one but mostly where strangers become friends and that friendship lasts a lifetime. Make Rainbow Lake part of your lifetime!